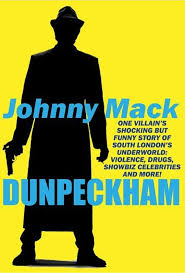 In creating "London Boy"a British gangster film, award winning film producer Lee Hutcheon has turned the best selling autobiography " Dunpeckham"of Ex-London gangster Johnny Mack into a crime movie unique to its genre. Armed robbery and violence were part of early 1980's South London's underworld. However this is a story that focus upon the humanitty of criminality. If the highs were high, the lows were just as bad. This web-site is unique in that it takes you from the very beginning of one man’s idea to write his autobiography that depicts a life a crime, to post publication where it describes step by step, stage by stage how this book is eventually created into a feature-length film – “London Boy”, This has never been done before either on or off-line. We actively seek to promote our visitors to freely subscribe to the “making of” our film “London Boy” and literally engage within the process and resulting conversation that will surround and become a key part of the making of the film itself. So this website’s target audience is both vast and extremely varied. By describing this story in the unique manner described above, it will appeal not only to fans of the true crime film genre itself, but to film enthusiasts of all descriptions. As this site grows with the film’s ensuing real-time story, it will discuss all aspects of film making from script writing, to a plethora of production techniques, such as; cinematography, shooting techniques, camera selection, location selection, film crew organisation and management, logistics etc. Plus of course all aspects of film direction such as casting, managing actors, directing cinematographers, directing crew members and a lot more. So there will be something for everyone who finds films and filming of interest. London Boy is a collaboration film project between author Johnny Mack and film producer/director lee Hutcheon. The movie is based upon Johnny’s first autobiography “Dunpeckham”. It’s a gripping tale, a truly human story, of one man’s struggle to exit a life of poverty in South London by any means necessary. The film depicts Johnny’s childhood where he discovers his talent for boxing and then takes you upon a journey of an initial criminal apprenticeship, to eventual full-blown villain. This criminal career includes illegal drinking clubs, unlicensed boxing, armed robbery and ultimately the British gangster lifestyle, it’s mentality and importantly the fully paid up members of this elite, underworld class. The “Faces” or “Chaps” as they are often referred to as. The key parts to this story and what makes it totally unique to others within it’s genre, is it’s unflinching, often brutal honesty, the non glorification of crime or the criminal lifestyle and Johnny’s extremely funny, but often dark depiction of his past criminal past. This entry was posted in London Boy The Story and tagged British gangster movie, camera angles, camera panning, camera types, cinematography, crime genre, film location, film making, filming, shooting a movie, true crime film on 09/08/2014 by The London Boy Production Team.